I woke up just in time to see the dark blue sky lightening and mixing with whites and oranges. 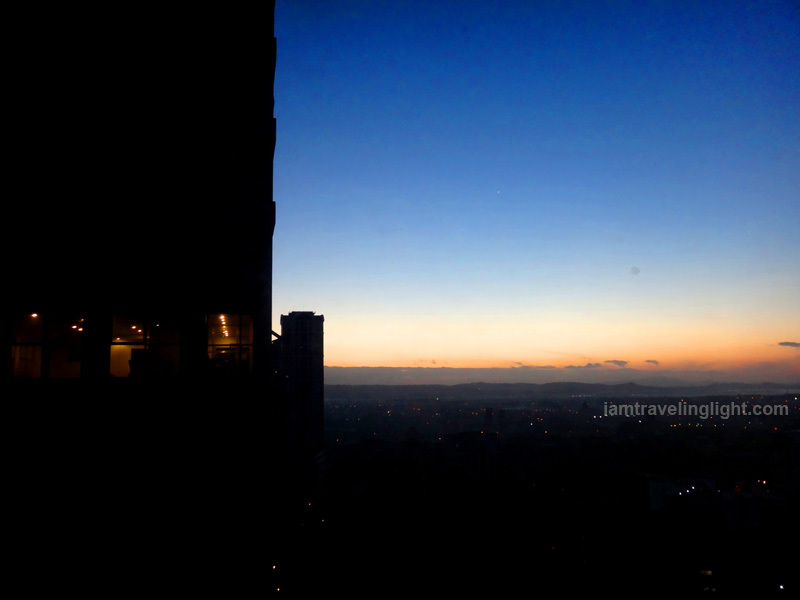 One by one, the lights of Ortigas business district died, giving way to the morning sun. Slowly, the sun stretched its rays, like limbs extending after a deep slumber. And then, after watching this sky show, I promptly went back to sleep, still bleary-eyed from the party the night before – or more accurately, just a few hours ago. Years ago, when I was busy spending many a late night – and even early morning – doing overtime as an office worker in Ortigas, I would never have imagined that I would be back not for work, but for a staycation, thanks to my passions (traveling and blogging) and fellow bloggers who gave the invitation. 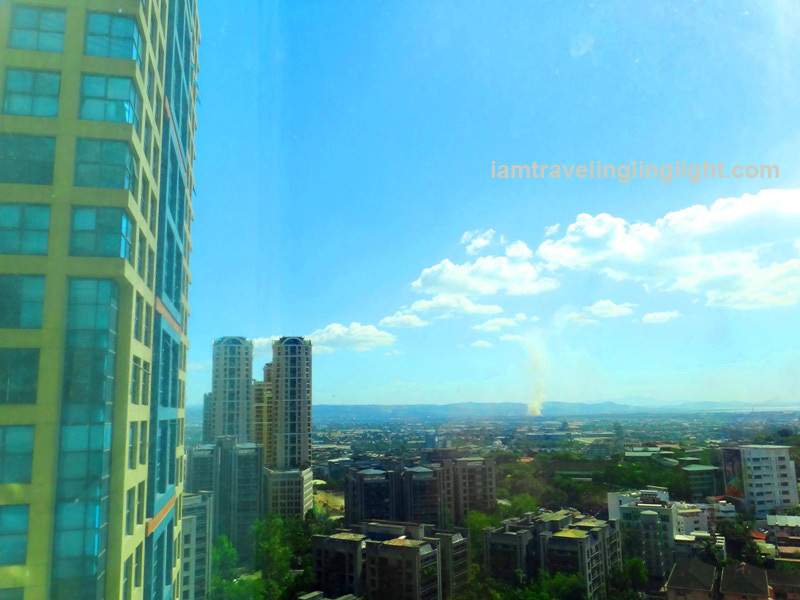 And at Linden Suites, practically a neighbor of the office where I used to work. 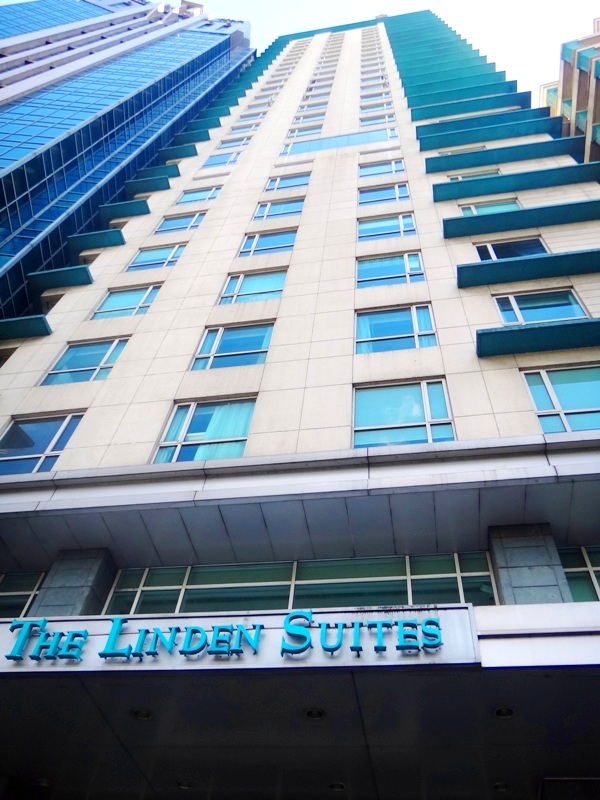 For all intents and purposes, Linden Suites appears to be a business hotel. For one, it is located in the Ortigas business district, and even on San Miguel Avenue, densely populated with office buildings. And, looking at the essentials in their rooms, an office worker prepping for a meeting or presentation need not worry – there is an iron and ironing board to smooth out any wrinkle off the crisp polo or blouse, a shoe brush to clean shoes, and even a basket for shoes (which will be picked up for cleaning services). 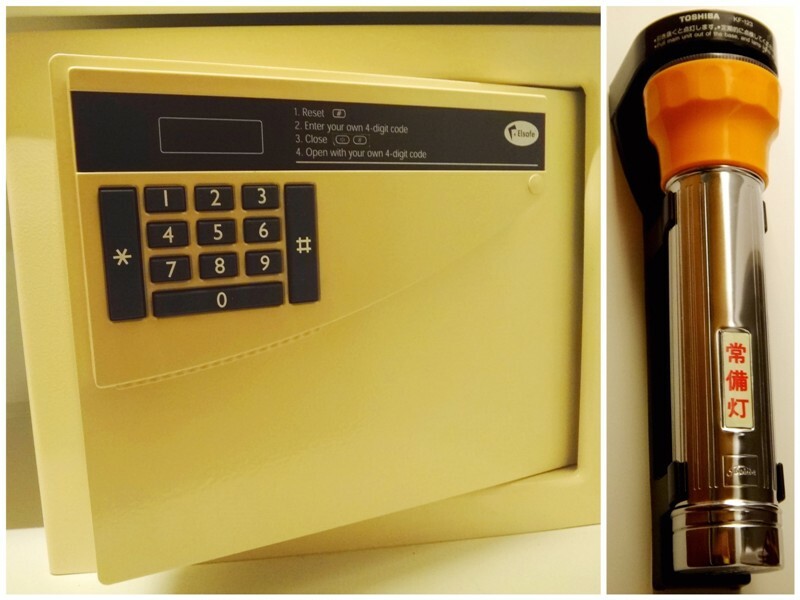 These are on top of the usual items for safety and security like a safety deposit box. The hotel even has a flashlight, handy for emergencies. 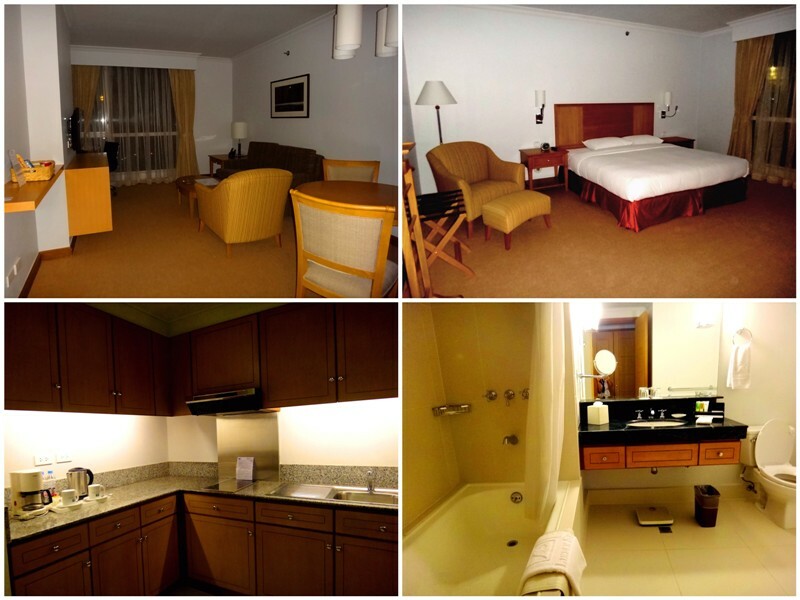 But beyond being a business hotel, Linden Suites is actually suitable for relaxation and get-togethers. On the Friday night of our stay, we bloggers got together in one room and had a potluck dinner (plus homemade cocktail drinks!) in the kitchen and sang our hearts out in the living area. 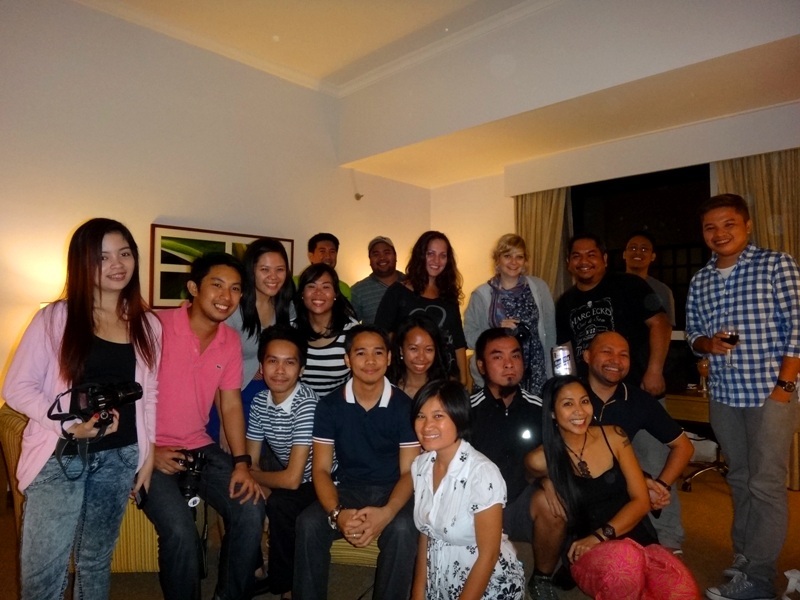 Thanks to this gathering, I got to meet other bloggers, two of them even foreigners who raved about Philippine beaches, making me all the more proud of my country. The talking, singing, and laughing continued until the wee hours of the morning. At around 3 or 4 am, I went ahead to my own room shared with a blogger friend. I was surprised to find that even this room has its own living room and kitchen. Both the living room and bedroom have their own flat screen TVs, while the bathroom has its own bath tub. If I were staying here longer, I would definitely take more time to relax by soaking in a bubble bath and watching a movie or two while lying on bed afterwards. Watching the sunrise through the floor-to-ceiling glass windows and feeling amazed at this chance to relax in this business district which I carry many stressful memories of is more than enough for me, though. 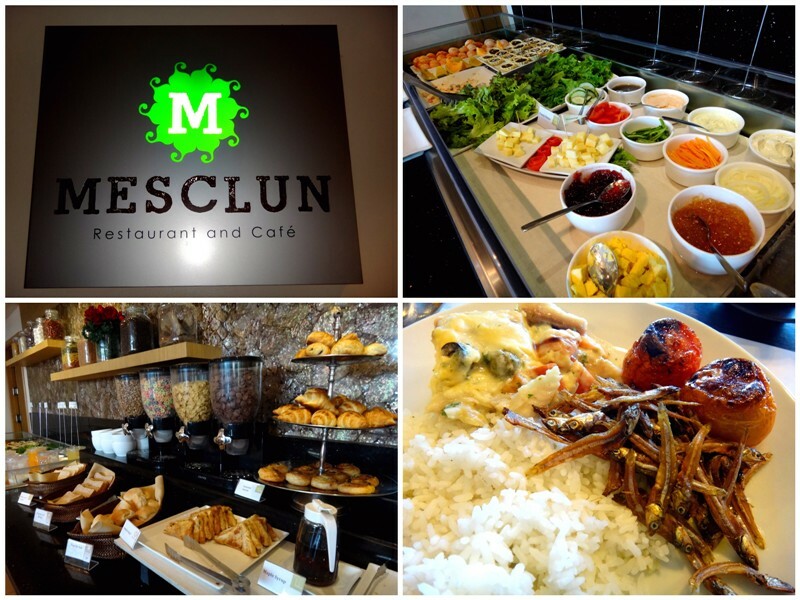 Later, I hit the breakfast buffet with the other bloggers, who were still upbeat after just a few hours of sleep. As a pesca-vegetarian, I was more than happy with their selection of salads, breads, and fish. And then, after breakfast, I got together with the other bloggers again. And before going down to the lobby to check out, I took one last look at Ortigas business district, the sky still a brilliant blue amid the gray buildings. From here, everything looks beautiful. Disclosure: My stay at Linden Suites was sponsored. 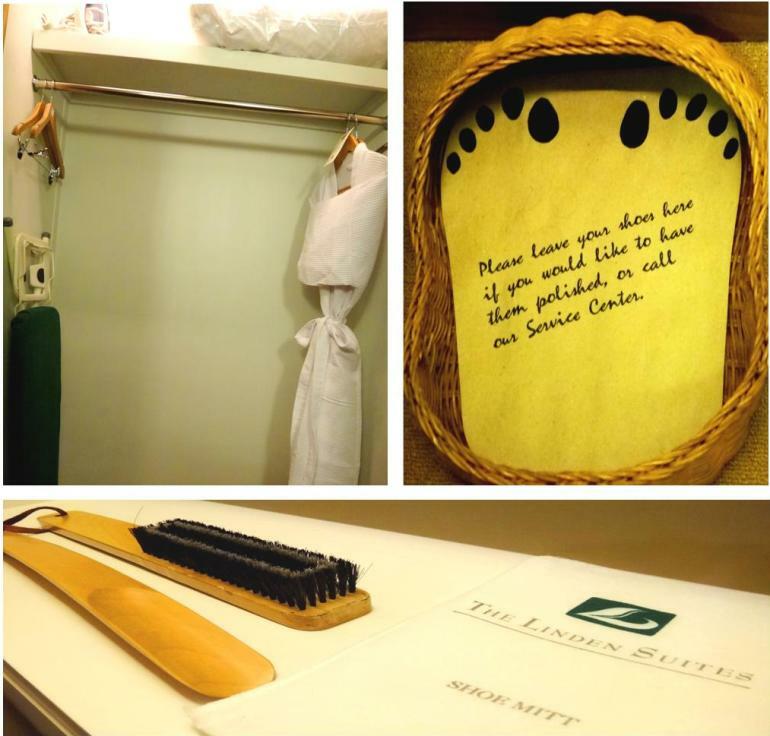 Looks elegant huh… surely ill stay for hours in the bathtub hehe… kailan kaya uli ako maka pag staycation? Are they still allowing parties? because I’m still hesitant to book a room for my b-day venue. I’m nervous the party might be ruined, if they dont allow guest to come in. Does every guess needs to go the reception area and log what room they’re staying? or they just need to go directly to the room to avoid extra charges for the guest?. We had other people during our party too. 🙂 But I believe they can be allowed to stay up to a certain time only, like 11 pm, I think.